Where can I even start? 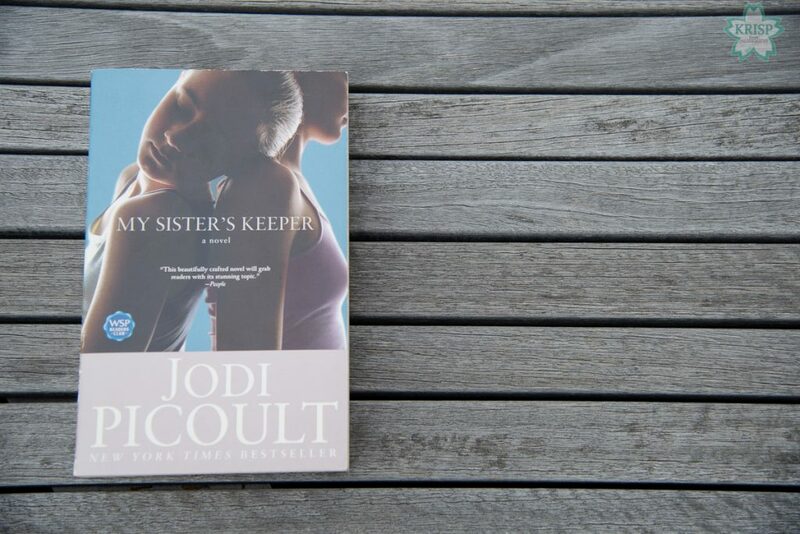 There are so many wonderful things to say about My Sister’s Keeper by Jodi Picoult that I don’t really know where to begin. The book is about a typical family; there is Sara (the mom), Brian (the dad), Jesse (the oldest & only son), Kate (the middle child) and Anna (the youngest). The story is a beautifully interwoven tale that tells the story over the course of time from each person’s perspective. There are other characters in the story too such as Campbell Alexander (the lawyer) and Julia Romano (the guardian ad litem). 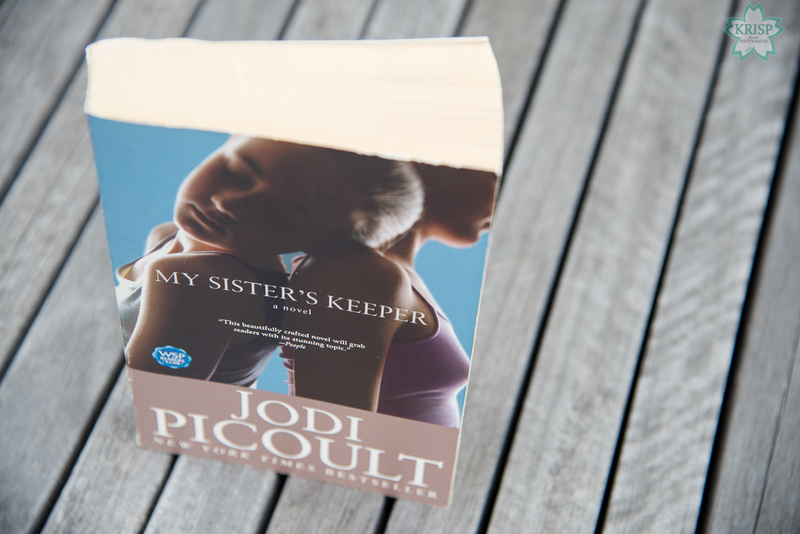 The story revolves around the family who finds out when Kate is six years old that she has a rare form of leukemia. The prognosis at that time was grim and the options available to the parents to keep her alive were minimal. However, one doctor mentions that treatments involving transplants and bone marrow donation are much easier with a donor who is a relative and an exact match to Kate. The family has their son tested, but he is not an exact match. So, Sara gets the idea to have a child who is an exact match for Kate and that is how Anna is brought into the world. The story is about the family’s struggle of dealing with a terminally ill child and the lengths at which a family is willing to go to save that child’s life. 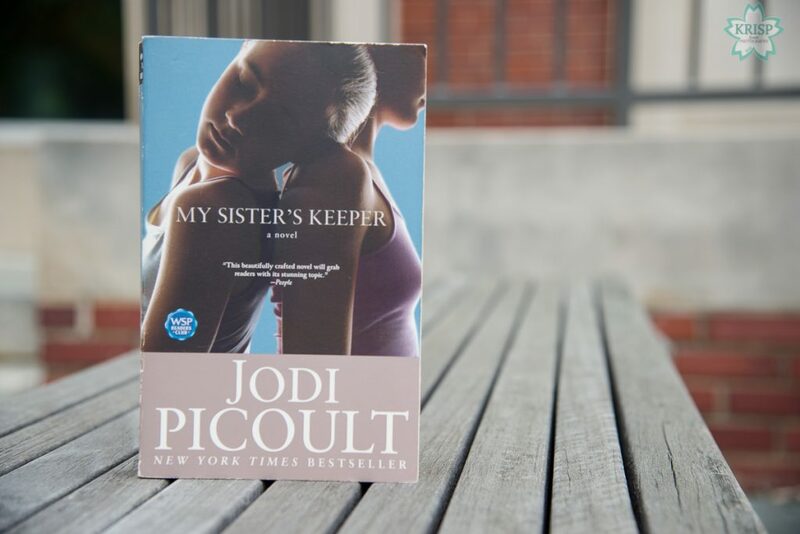 It also tells the story of Anna, the child who was created with seemingly the sole purpose of helping her sister live by any means that she is able. It is a gripping novel and truly worthy of all of the praise it has received. What can I say? I loved this book! The book is better than the movie that came out, but from what I can remember about the movie, it did a pretty good job of sticking with the book and not taking too much Hollywood liberties with the scenes. However, you’ll very rarely find a time where I have found the movie version of a book better than the book itself. 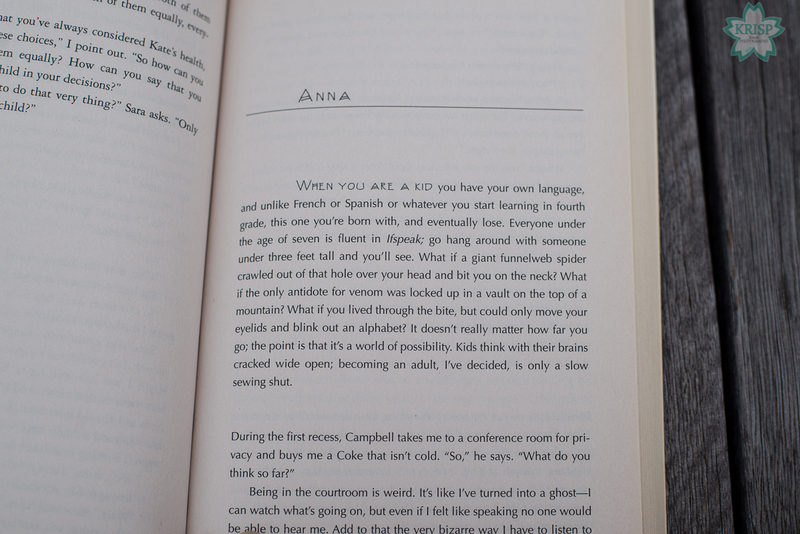 I didn’t remember what happened at the end of the movie, so when I got to the end of the book, I cried. 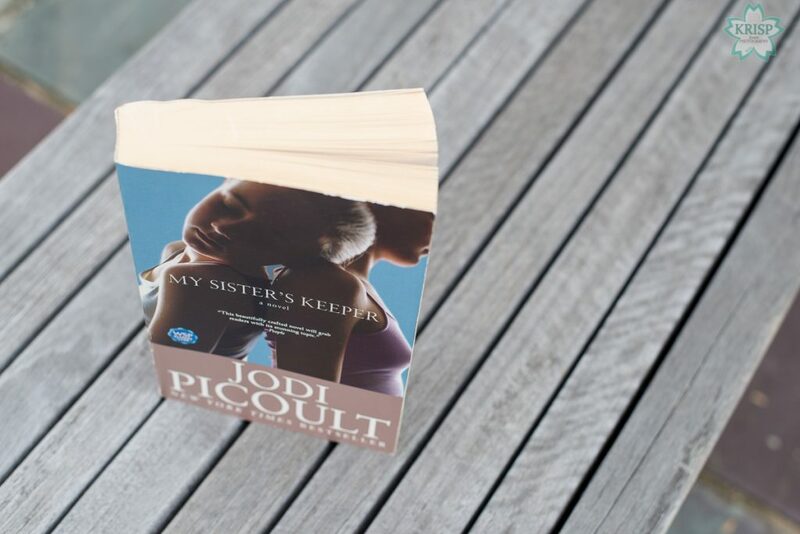 It is truly a touching story and I recommend this book to anyone who loves a good fiction novel with a little bit of humor, suspense, love with some twists and turns. It doesn’t really matter how far you go; the point is that it’s a world of possibility. Kids think with their brains cracked wide open; becoming an adult, I’ve decided, is only a slow sewing shut. This is probably one of my favorite books and if you haven’t read it yet, I highly recommend grabbing a copy from your local library or book store!